It is so important to store good, shelf-stable baking aids in your food storage. If you are planning on using the literal ton of wheat that is sitting in your basement, you’d better plan on having a little yeast and vital wheat gluten on hand. Maybe some baking powder, baking soda, salt and sugar wouldn’t be a bad idea either! If you have beans and other grains in your storage, bouillon is a great ingredient to store, as it adds instant flavor and makes these items so tasty. 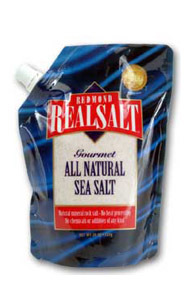 Real Salt is such an amazing product. It is mined with all of the minerals that naturally come with it, thus giving your body the "tools" it needs to digest the salt. 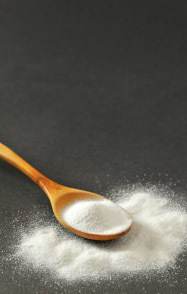 Salt that has been stripped "white" is not absorbable by our bodies—that’s why you hear doctors say to avoid salt! With Real Salt, you can have your salt and eat it too! 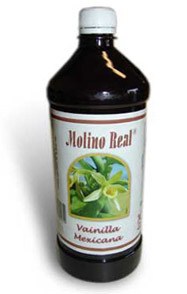 Our Mexican Vanilla is one of our favorite products. It is so pure (only 4% alcohol) and has amazing flavor. Check out our incredible prices! Many hard-to-find herbs, spices and extracts are also available in this section—Lime Juice and Lemon Juice Powders, Salt Free blends for those watching their salt, and Citric Acid for use in dough enhancement, fruit dehydrating and yummy lemon water, to name a few functions. We also carry Almond Extract, Lemon Extract and Maple Flavoring to make your own maple (flavored) syrup!